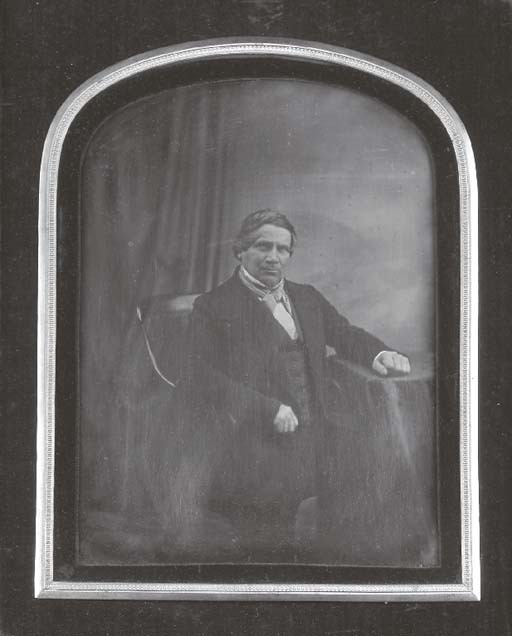 Whole-plate daguerreotype. 1850-60s. Arched top, burgundy velvet mount, gilt. Velvet-lined folding leather case. A fine large portrait, almost certainly American, and with some stylistic similarities to the work of Southworth & Hawes.